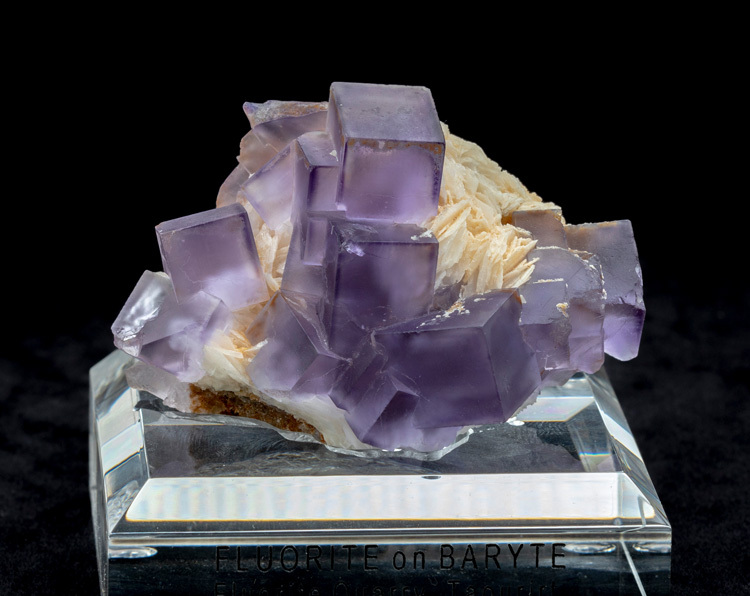 At first glance you would think this is a fluorite-baryte specimen from Berbes, Spain, but it's not. 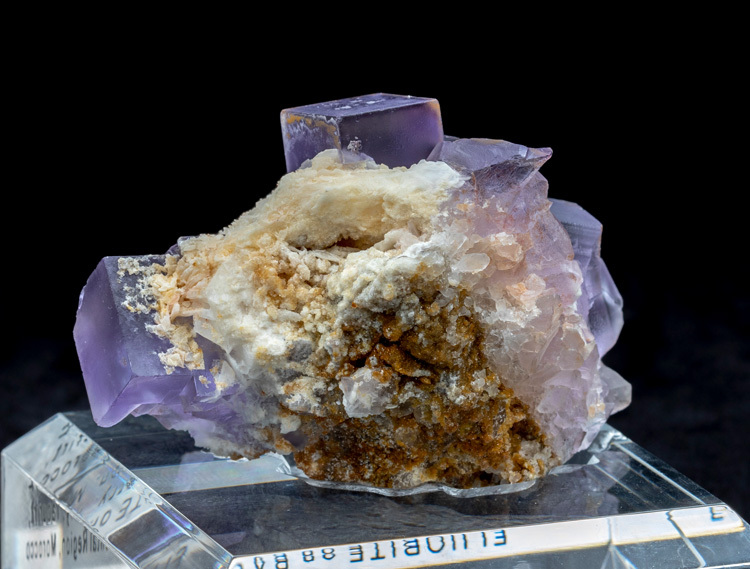 This is from a new find in Morocco, and there were not many specimens in the pocket, so you won't likely see ones like this again. 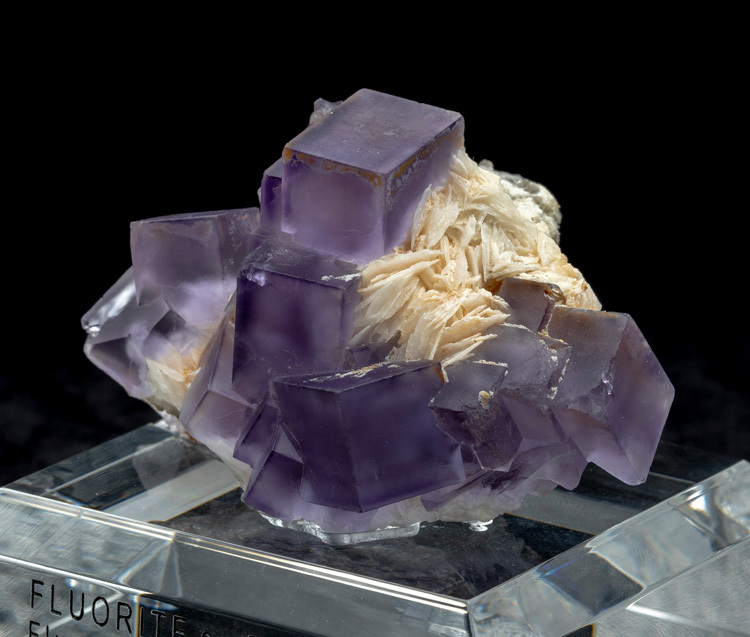 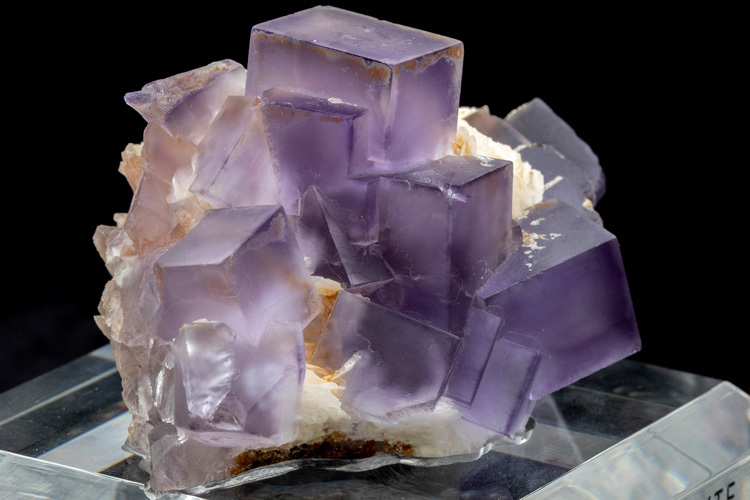 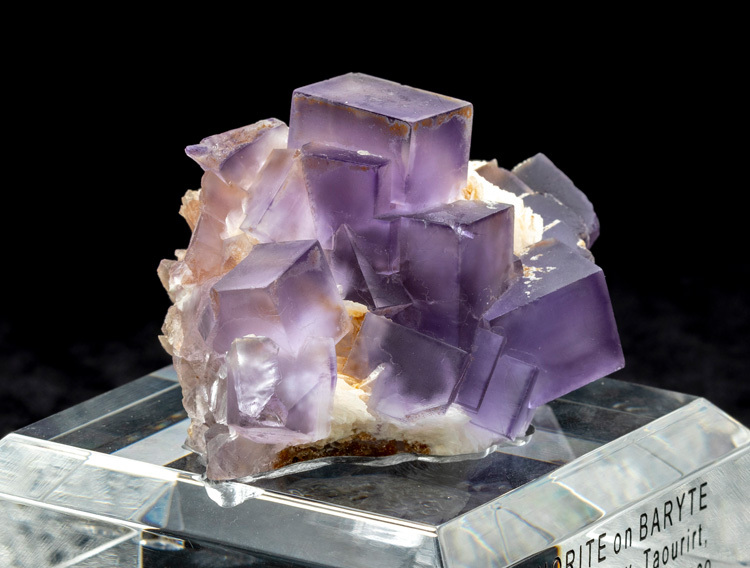 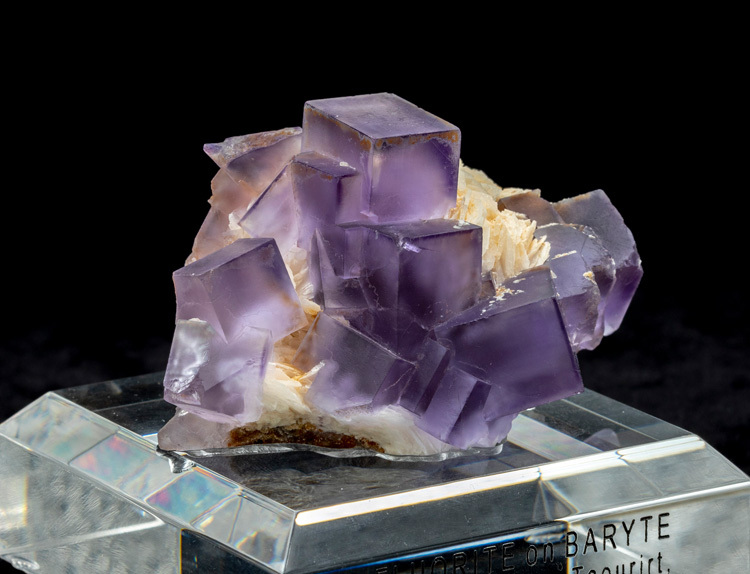 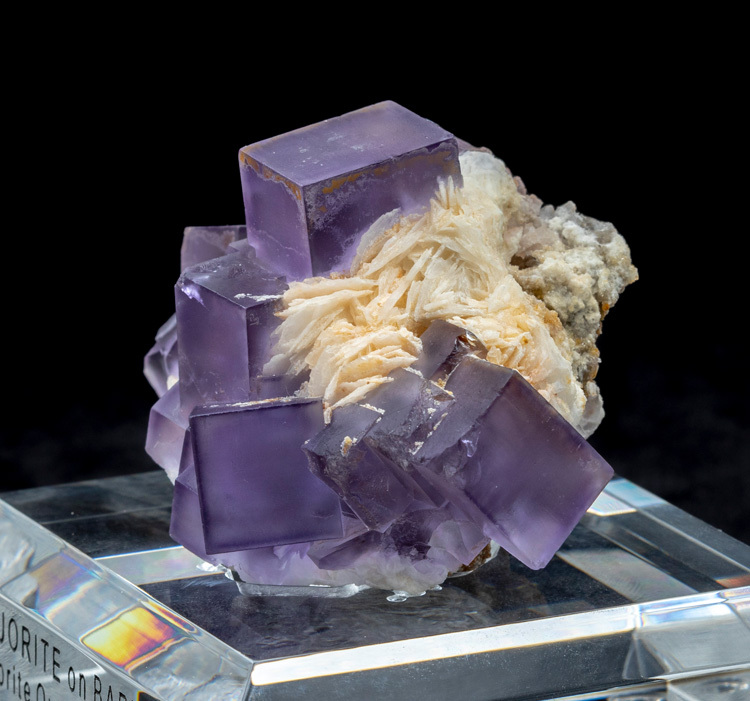 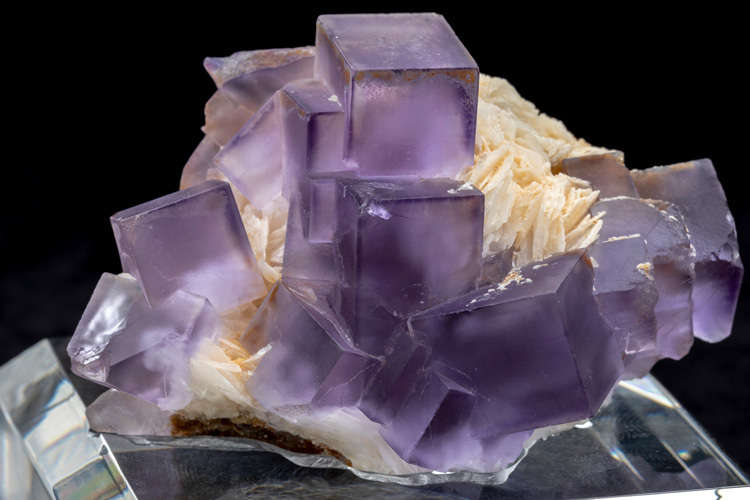 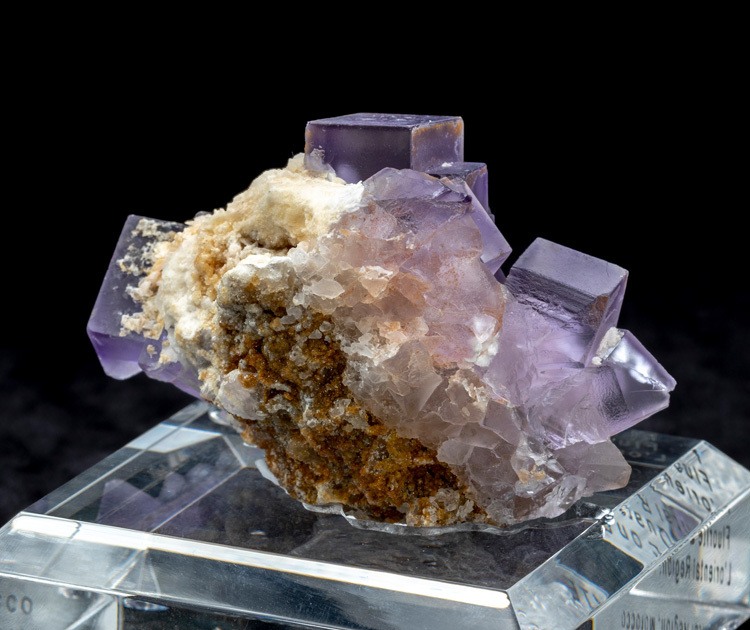 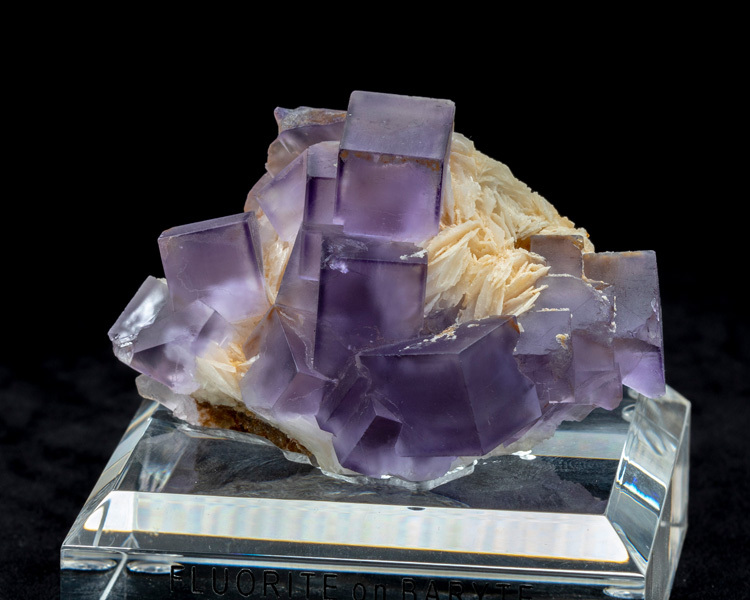 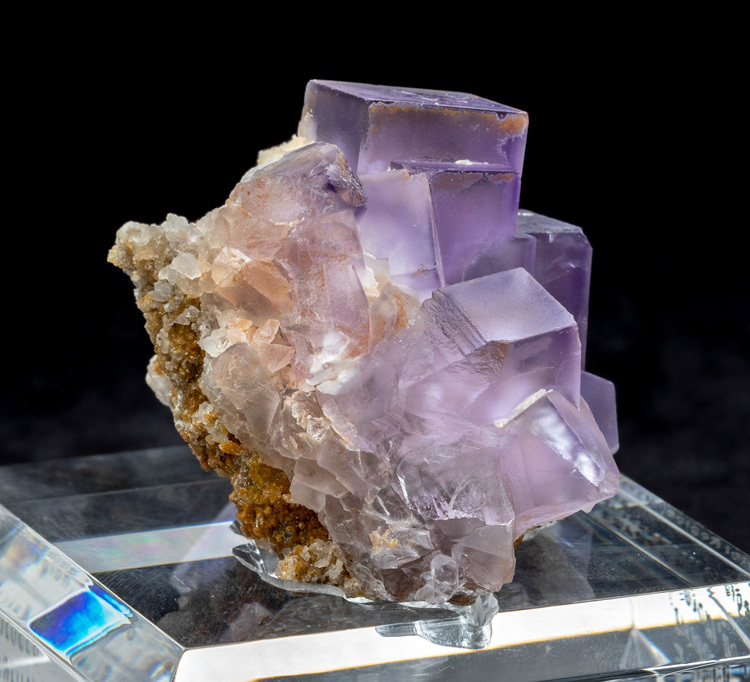 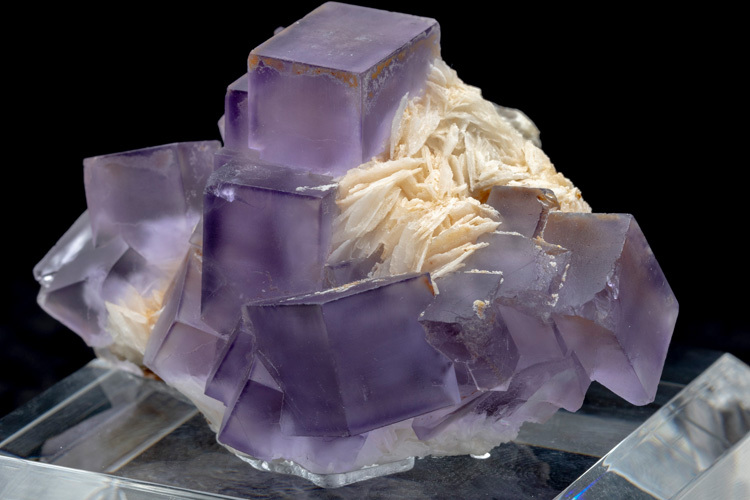 The fluorite cubes are a soft, translucent purple, and the baryte blades are a orangish-white. 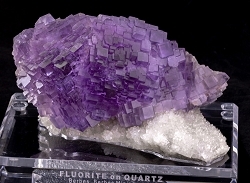 The condition is overall quite good with just a few chipped corners.